A Sacramento Bee analysis found that the local Democratic committee spent almost $130,000 influencing Senate races hundreds of miles away. With regard to state contests, the November election was a sleepy time on the North Coast. Election Day victories of Democratic state legislative heirs-apparent Assemblyman Jim Wood and Sen. Mike McGuire’s were never in doubt, so one might imagine that the Humboldt County Central Democratic Committee was just kicking back, watching the races unfold, right? It turns out, not so much. As Wood and McGuire cruised, the committee’s focus was elsewhere. In the months leading up to Election Day, the small organization collected almost $130,000 from large state unions and then pumped a series of five-figure donations into the coffers of Democrat Senate candidates Luis Chavez and Jose Solorio in their unsuccessful bids to represent districts in the Central Valley and southern parts of the state and give Democrats a Senate supermajority in the process. According to data compiled by the Sacramento Bee, the HCCDC received a string of donations — $33,000 from the California Teachers Association, $34,000 from the state service employees union, $34,000 from the American Federation of State, County and Municipal Employees, and $25,000 from the California State Association of Electrical Workers — between Aug. 8, 2013 and Oct. 9, 2014. Meanwhile, in September, the committee dropped $60,000 in donations into one of Solorio’s fundraising committees and another $50,000 to Chavez’s campaign. On Oct. 21 — just weeks before the election — the committee gave Chavez’s campaign another $70,000. To be clear, this kind of fundraising activity is not in any way unique to Humboldt or to Democrats. The Bee report notes that the Tulare County Republican Central Committee poured more than $620,000 into state legislative campaigns last year, while the Sacramento County Democratic Committee spent more than $560,000 and the Republican Central Committee of San Luis Obispo County spent $1.87 million on campaign contributions. As the story notes, this type of committee spending is the legacy of the state’s Proposition 34, which passed in 2000 and capped the size of individual political contributions to state races in California but, at the same time, allowed political parties to make unlimited donations. 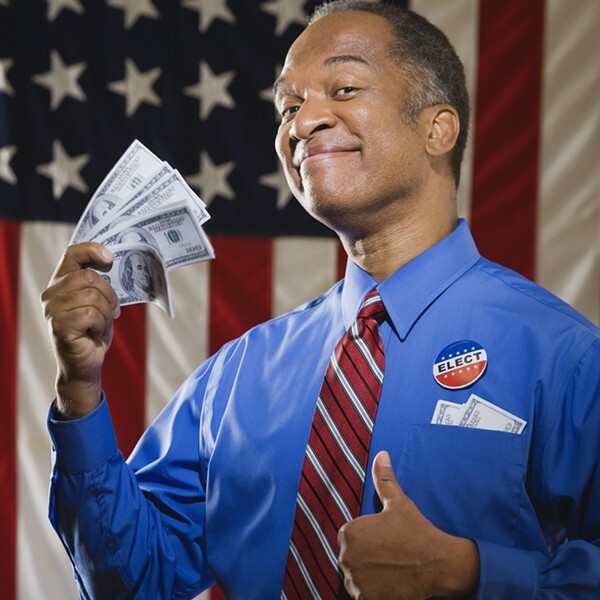 “Individual donors last year were not allowed to give more than $8,200 to a candidate. But donors could give a larger amount — $34,000 last year — to each party organization that, in turn, could be contributed to candidate’s campaigns. “That means a wealthy donor could write a series of $34,000 checks to multiple party committees, which then could each send the money to one candidate in a contested race. As long as there was no coordination, the transaction would be legal." Jess Durfee, who used to chair the San Diego County Democratic Party and now oversees its fundraising and contributions to other candidates, told Miller there’s simply no need for coordination. Anyone who follows California politics knows there are going to be a few hotly contested and targeted races, he said. Democrats and Republicans in Humboldt County, the thinking goes, benefit from having like-minded people in the Legislature and will spend their committee cash accordingly. Attempts to reach HCCDC members for comment for this story were not immediately successful.